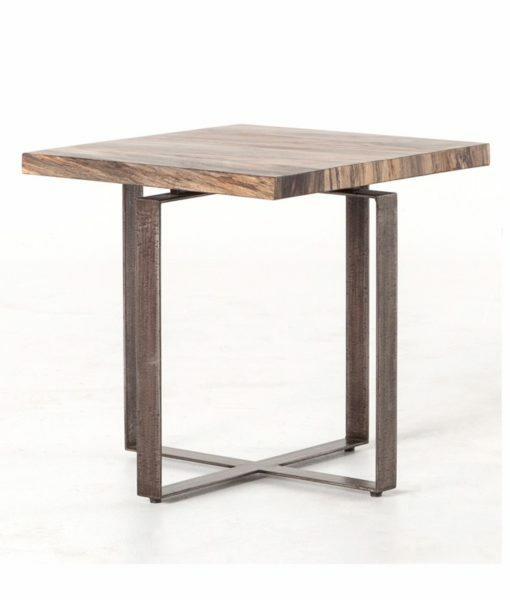 Low profile, high impact table. 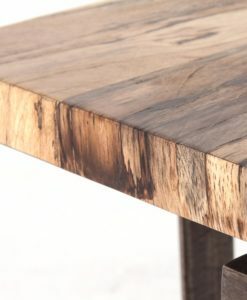 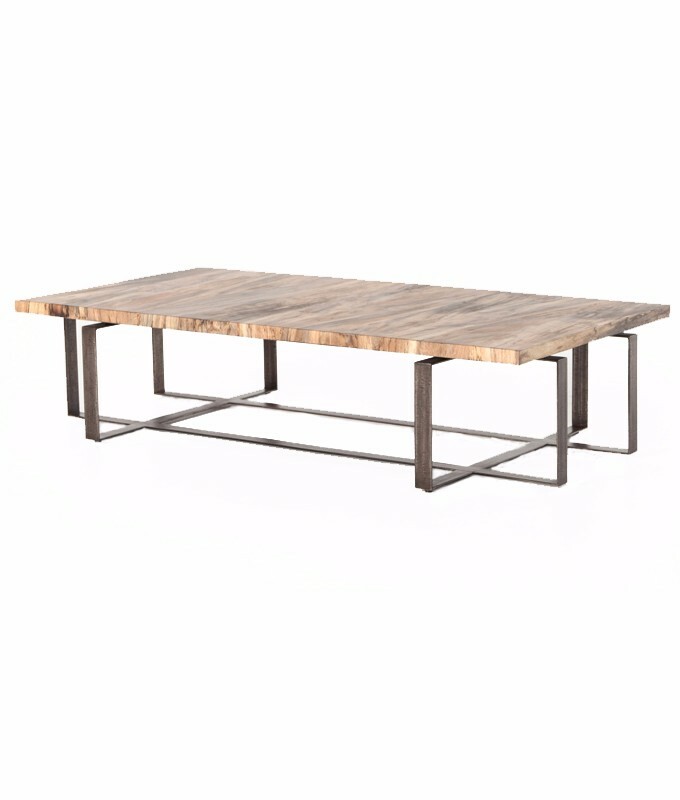 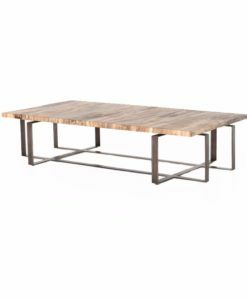 Spalted primavera wood with character graining is supported by a sophisticated cage of oxidized flat stock iron. The Brant collection also includes a side table and console. You can select either Grey Oak or Spalted Primavera for the wooden top.